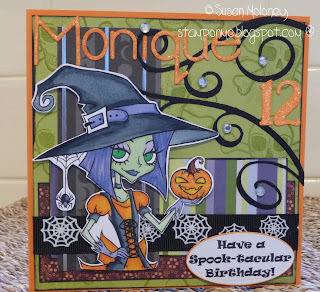 Stamp On Me: Another spooky card! Here is another Witch Lylah card. This one was ordered by my sister's friend... 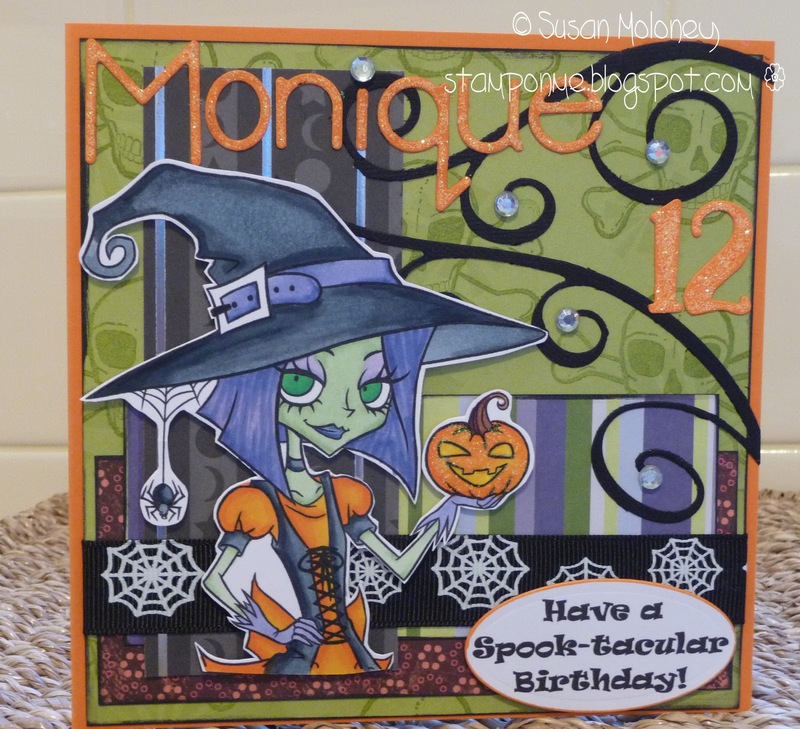 I have since discovered that I need to make another Halloween/Birthday card for the same girl. Lucky I bought all of the Tickled Pink Lil Haunts digital stamps! I used the same basic design as my previous Witch Lylah card with a couple of alterations in paper, the size of the image, sentiment and ribbon. I also added the birthday girl's name and age. This is brilliant, love the image and layout.